In the 1960s, environmentally conscious U.S. Secretary of the Interior Stewart Udall wrote that “the cause of conservation needs a new generation of outdoor philanthropists.” Dumbarton Oaks Park actually owes its existence to philanthropists, as Robert and Mildred Woods Bliss donated 27 acres to the people of the United States a generation before Udall’s call. The donation was made in December 1940 and the gift of land officially opened to the public as Dumbarton Oaks Park on April 12, 1941, the 33rd wedding anniversary of the Blisses. Originally part of Dumbarton Oaks, the Blisses – Robert a career diplomat and Mildred an art connoisseur – purchased the entire property back in 1920 and then developed it by building “a country estate in the city.” Two decades later, in 1940, the Blisses donated the upper, more formal landscape to Harvard University, Robert’s alma mater. This land parcel today is known as Dumbarton Oaks. The lower, wild garden, stream valley component of the Bliss’ property was donated to the public. Today this land parcel is known as Dumbarton Oaks Park. From December 1940 until April 1941, the deed to this public space was handed over to the U.S. National Park Service, the property line and fence was repaired, and a public entrance off of Lovers’ Lane was developed. Then, on April 12, 1941, Dumbarton Oaks Park officially opened to the public. It was Easter weekend, and approximately 1,000 citizens visited the park on its first day. 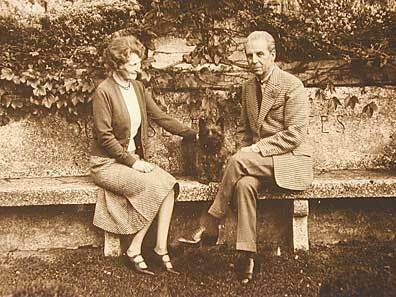 Over two decades later, after countless thousands had enjoyed the park, Mildred Bliss – her husband recently deceased – was an honored guest during a special ceremony in Dumbarton Oaks Park. Organized by Udall, the May 1963 ceremony served as a medium for the Interior Secretary and others to lobby for the passage of the Wilderness Act. While speaking to the group during the event though, Udall turned to 84-year-old Mildred and thanked her for donating the tract of land. We’d do well to thank her and honor her too. 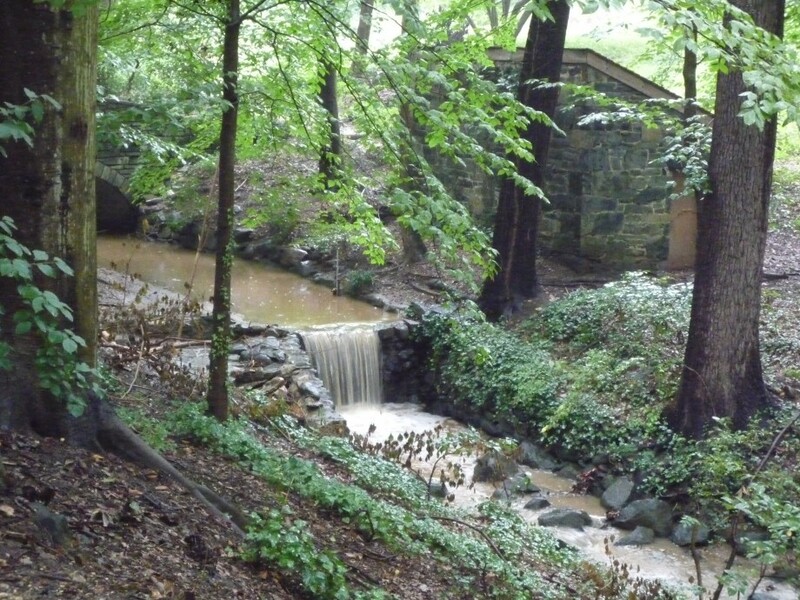 This April 12th, 75 years after the Blisses donated the land and exactly 74 years after the opening of Dumbarton Oaks Park to the public, Dumbarton Oaks Park Conservancy invites you to the park’s annual anniversary celebration. Please mark the date on your calendar, as this will be an event you’ll not want to miss. Scheduled activities include a gate reopening ceremony; park celebration fair involving numerous community groups and park partners, children’s arts ‘n’ crafts, a wildflower walk, a park tour spotlighting the stream valley’s design history as well as current restoration efforts, and more. East Falls and Old Stone Pump House. 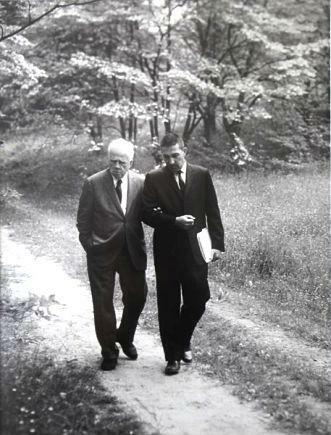 Robert Frost and Stewart Udall in Dumbarton Oaks Park.